Far beyond Nepal’s famous tourist destinations, many communities struggle with access to safe drinking water. It’s these neglected regions that are the focus of Clean Drink Adventures. 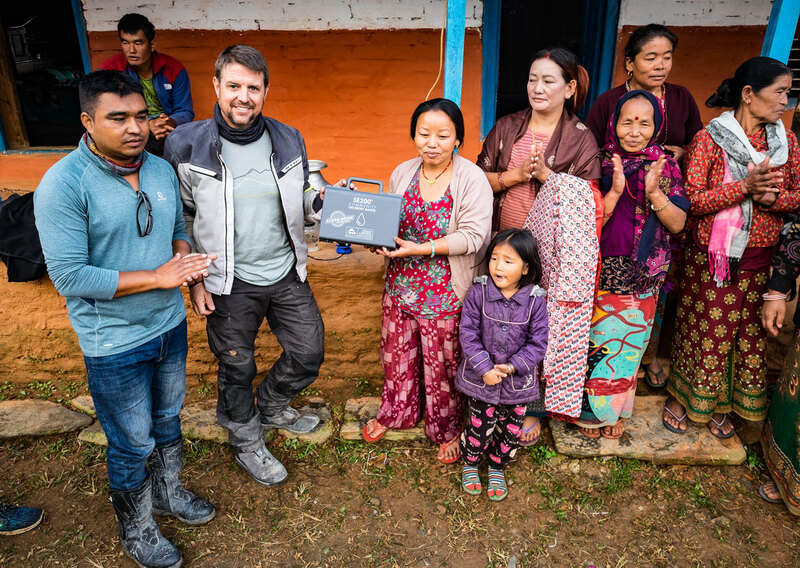 As they hand-deliver water treatment devices, they experience Nepal’s beauty and culture, doing good as they go. You can join them. 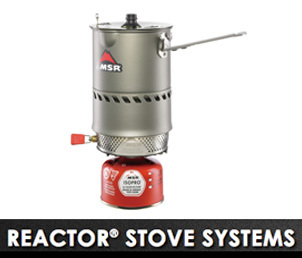 Learn how through MSR’s Adventures for Impact. For the three dozen residents of Kalika Nagar, visitors are rare and cause for excitement. Their simple building, far removed from the main road on the fringes of the city, is allegorical to how many orphans and people with disabilities live. Which is to say out of sight and by any means possible. From a distance, one might think Kalika Nagar is a forlorn place. The people within certainly have their struggles, but with only concrete and rusted steel they built more than just a place to dwell, they created a communal home. Living together, they are family. For our Clean Drink Adventures team, it was our third community visit in as many days. 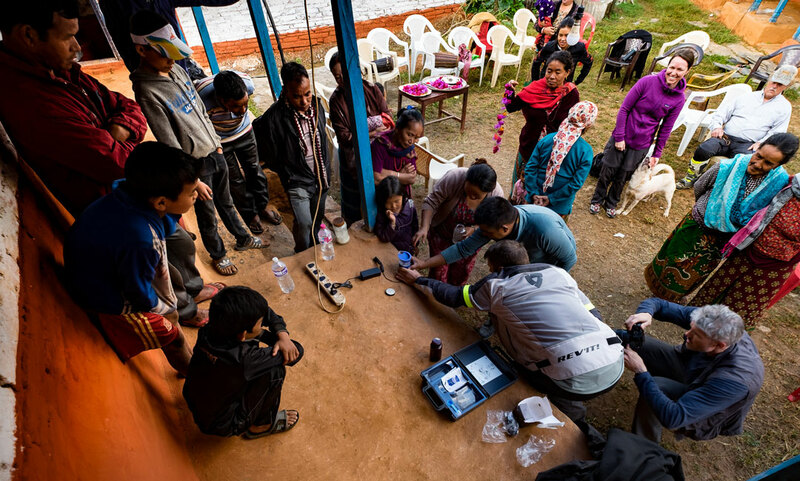 Our team of eight self-funded travelers arrived in Nepal a week earlier with more than a dozen MSR SE200 Community Chlorine Makers and a plan to put them to good use. 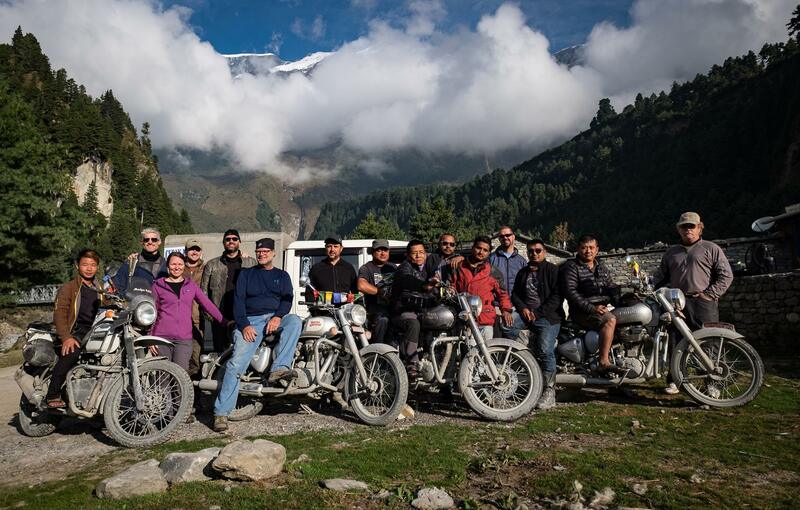 Guided by our ground operations director, Vishu Sijali, our route took us from the lowlands near India to the foothills of the Himalayas. A dedicated philanthropist, Vishu visits Kalika Nagar often and knew it would be a visit everyone would enjoy. After touring their home and discussing plans to implement purified water into their kitchen and living quarters, we spent the rest of the morning doing what we do best––hanging out and getting to know our new friends. When people think of Nepal, they often envision towering summits, serpentine trekking trails, and teahouses nestled into terraced hills. For the 220,000 trekkers and climbers to visit the country each year, that is the Nepal they seek and find. Only a fraction of the total 990,000 annual visitors venture to the areas beyond the national parks, World Heritage sites, or comforts of Trip Advisor vetted hotels. They certainly don’t visit places like the Banke District or regions where young kids die of waterborne illness by the thousands. I know this because I was once one of those tourists. A few years ago, I visited Nepal with an envoy of journalists to report on the state of the tourism industry after the April 2015 earthquake. Our crew included of some of the most influential travel writers in the business. We were ushered to places hit hard by the disaster and vowed to help by stimulating tourism with our words and pictures. Little did we know, the tourist areas we visited would soon be flooded with NGO support, government funds, and a healthy dose of revenue once the travelers returned. And all the while, the people living off the trekking routes and away from tall summits received––nothing. The Kalika Nagar home is like many destinations along the Clean Drink Adventures network. Like Gabar, Wamitaskar, Kusum, and Syangja-Kar, it is unlikely a single tourist has ever been to there, or will anytime soon. Despite their beautiful locations, friendly people, and need for assistance, they go neglected. Seldom noticed by humanitarian aid groups and of little interest to the government, they fend for themselves. It’s these places, set against tiger preserves or built atop verdant mountain tops, where we take our teams of volunteers. It’s there we offer village leaders, school administrators, and community elders, access to safe drinking water with the gift of an SE200 Community Chlorine Maker. On our most recent trip in October, the Clean Drink crew raised more than $15,000 to fund their efforts. 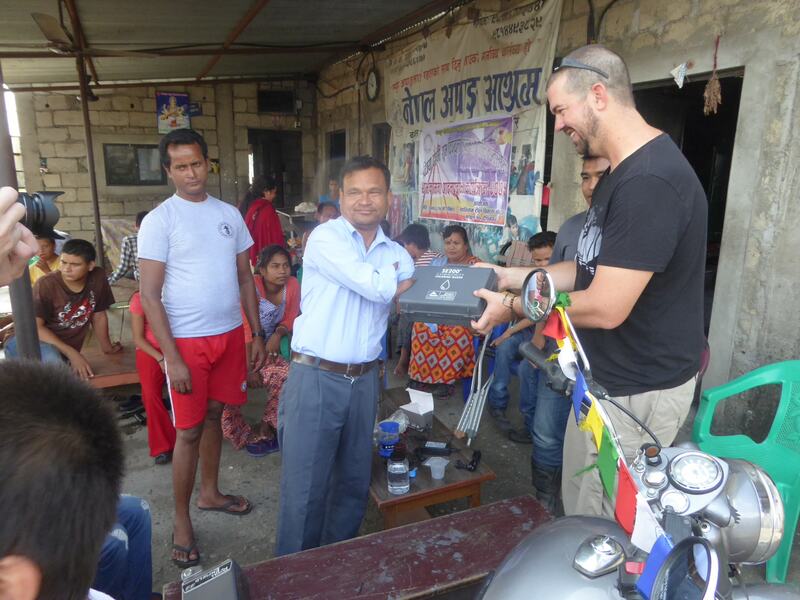 During a two-week journey through Nepal we placed a total of five machines. With our volunteers on the ground currently working hard to distribute 10 more. In January, we will return to the lowlands with another dozen units. Just one unit can support up 200 people. As the spring months near, we have three teams hitting the ground in Nepal to place an additional 30 SE200 machines. 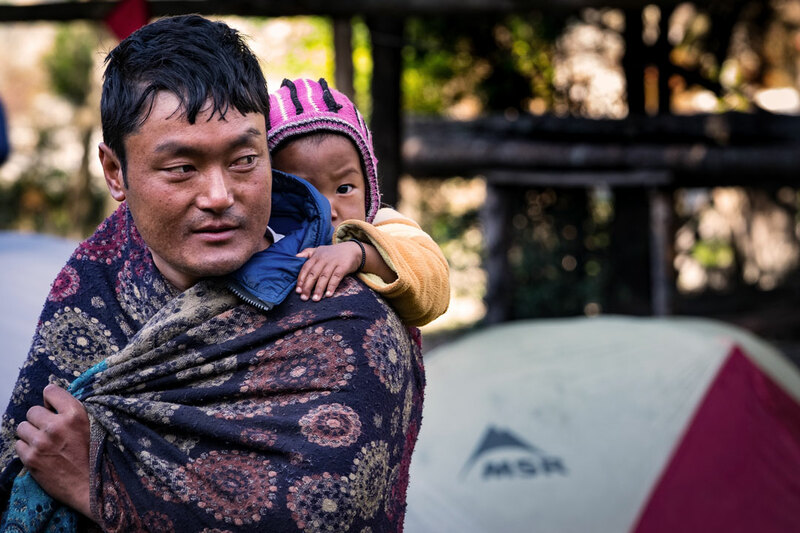 Along the way, our do-good travelers will get to visit the Nepal few get to experience. There is no denying the many splendors of Nepal. It is a magic kingdom and one of the most fascinating places in the world. For those to make the journey, particularly with a Clean Drink Adventures team, it’s not the tall peaks, wild animals, or ancient palaces they remember fondly. It’s the people, like those in Kalika Nagar, who we treasure most. What we value above all are the shared smiles, offers of warm tea, and satisfaction knowing when we leave they have access to a basic fundamental of life––a clean drink. 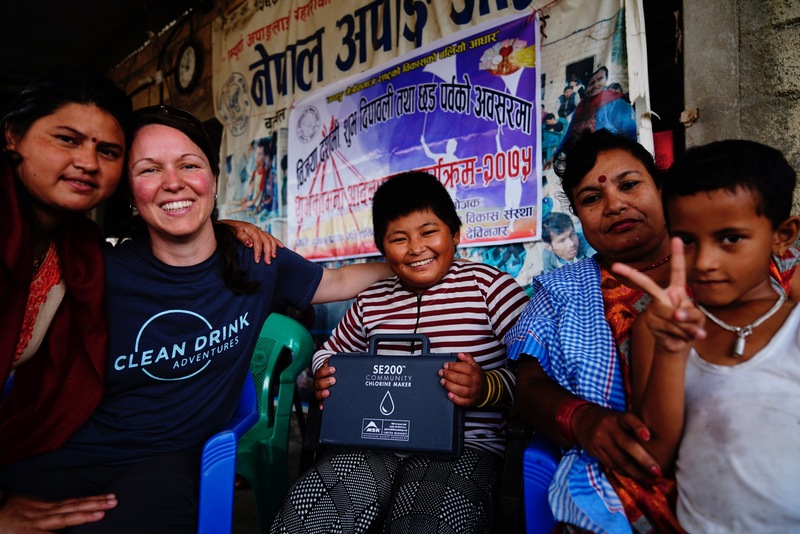 You can join the Clean Drink Adventures team on the ground in Nepal through MSR’s Adventures for Impact. Our Nepal trip embarks October 2019!